Deliciously smooth and perfectly creamy. 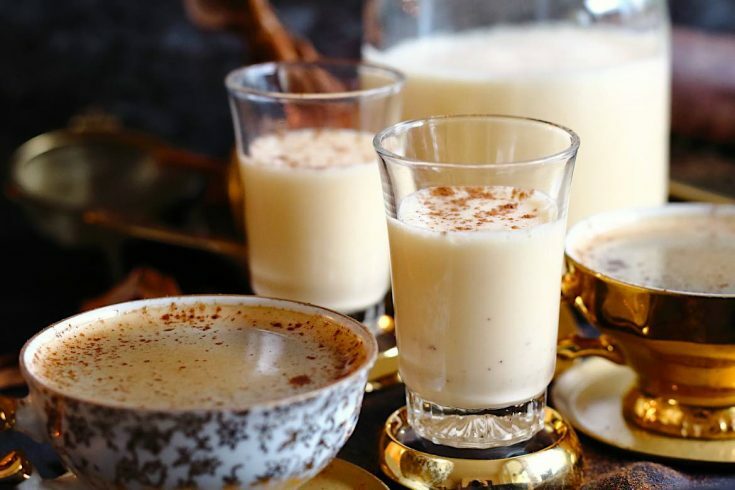 This Sugar-Free Homemade Keto Eggnog Recipe made with Almond Milk is a must on the table during your next holiday season. It goes perfectly with our Christmas recipes if you are looking to make this for a Xmas gathering. But as we should not forget, it is a must for Easter holidays as well. During that time of the year, everything is about eggs and what to make from them. And of course, in our Low Carb Lifestyle, we are not missing on anything at all. 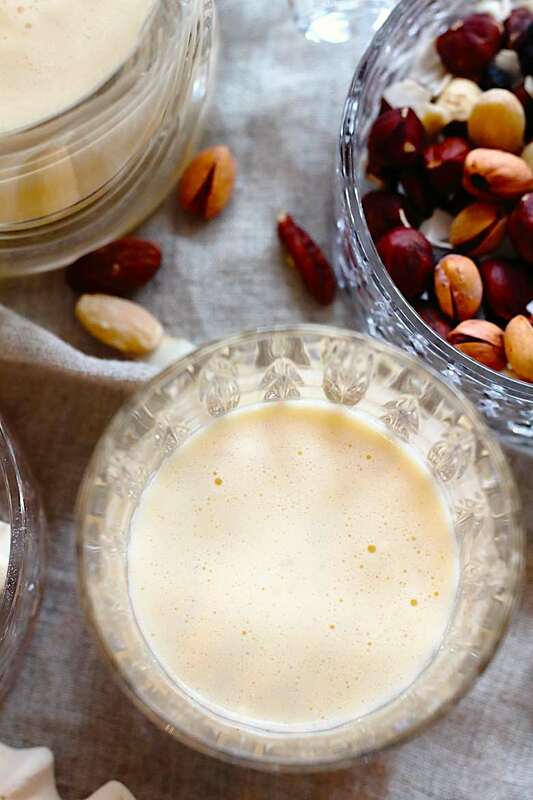 And this Homemade Almond Milk Keto Eggnog Recipe is no exception. Where I come from, Eggnog and Challah Bread need to be on the table for both occasions. Christmas as well as Easter. Since Challah Bread is on a sweet side as well and you might want to pair it with something savory, our Keto Sausage Sauerkraut Soup would be another option to look at. This soup has to be on our tables every single Christmas. As a child, my mum used to make eggnog on both of those occasions. She has always made sure there is a small bottle for us kids, without alcohol being added. That was the best time ever. As I remember I used to pour it into a tiny small glasses – as all the adults did – and kept licking throughout the whole time. Never ever would I ever leave the glass dirty. I have always made sure I lick the whole glass from each side to get every little tiny drop of it. My mum was not really pleased with my way of cleaning the glasses, but I just could not help it. I had to. I had to get the last drop. And you know what? For some strange reason, this habit stayed with me even now as I am an adult. The only difference is, that now there is quite a bit of rum in it. So why waste alcohol? Not a good idea. Eggnog has been my number one drink not only during the holiday season. I really loved it big time. B then, as we have transitioned to a Low Carb lifestyle, I have stopped. The first few years, as we, as a family has experimented with this lifestyle, Eggnog was just taken out of our kitchen. 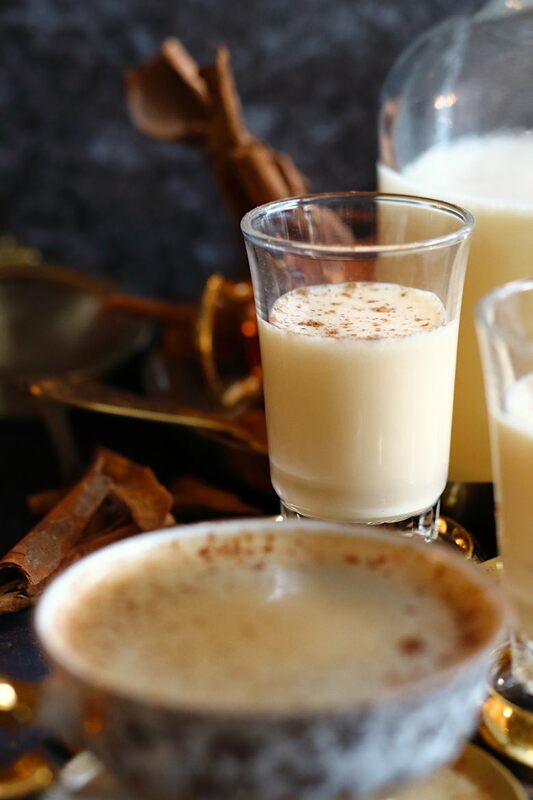 But later on, as I have seen and have realized, that anything, well almost anything can be transformed to Keto or Low Carb, I have started thinking of introducing homemade Keto eggnog to our lifestyle again. 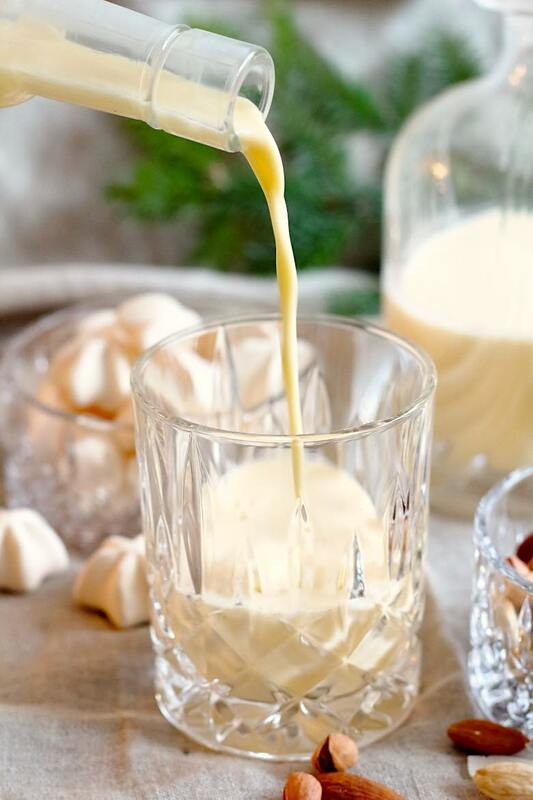 How to make Homemade Keto Eggnog? I have my mum recipe from a long time ago and I have just tried to experiment with different sweeteners and milk varieties. In the beginning, as I knew that the original eggnog recipe required an extra huge amount of sugar, I was not so sure if that would work with sweeteners we use. Especially as I have gone through 5 years of developing our Sugar-Free Meringue Cookies, I knew it would not be easy. The problem with our sweeteners is, that if you need to add a high amount, they normally develop into either strong aftertaste, or are just extremely strangely sweet. 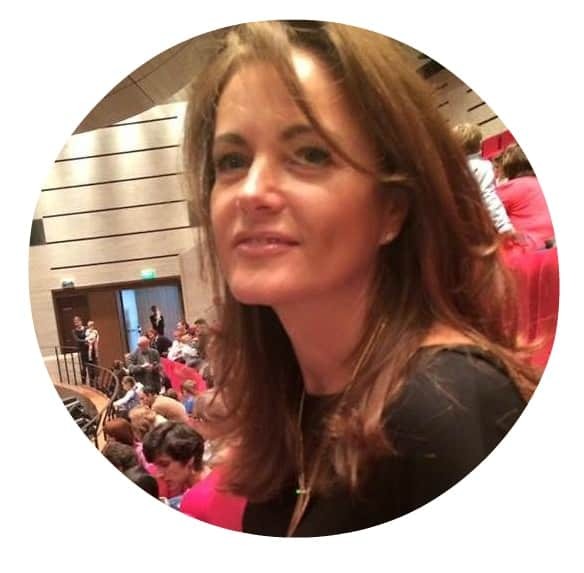 As already mentioned above, boiling or cooking with sweeteners is not always the same as normal sugar. They act differently and as I am using most of the time Swerve, I knew that if I add lots of it, I will get bitter aftertaste while cooking it. Therefore for this recipe, I have decided to go with a No cook version. 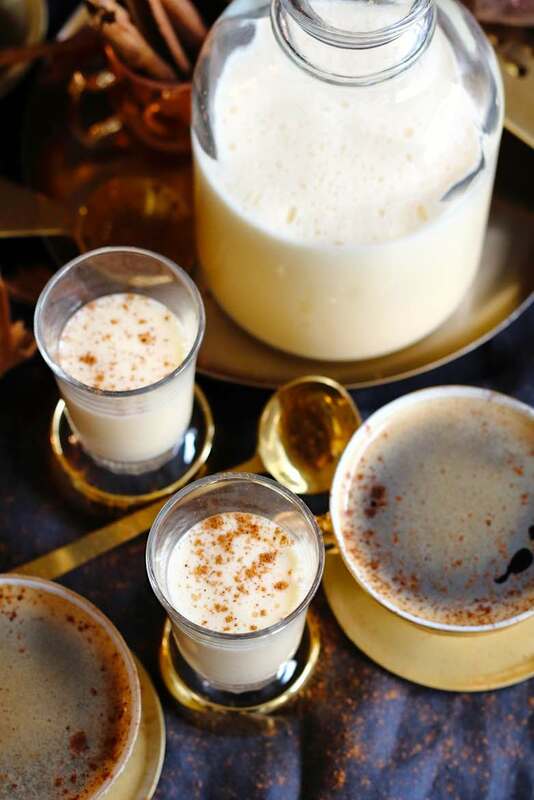 And since in our family, once I do make this lovely Homemade Keto Eggnog recipe, it is gone in no time. I try to make it only on special occasions since it still contains lots of calories, but when I do, I can not keep it in the fridge for a longer period then a few days. I have to all the time pour into my little glasses as I remember as a kid and enjoy. This way my childhood memory is never taken away. Not cooking the eggnog is a much easier version and since we do add alcohol into it, it does kind of preserve and kills all that is not needed. So there you go. This will be easy and deliciously creamy as well. Just follow the recipe down below. If you still prefer to have cooked eggnog, that is also an option. All you have to do is follow the same recipe, just use the double boiler and cook it gently, so the eggs do not overcook and you end up with kind of Eggnog omelet. But actually when I am thinking about this. What do you say about our next recipe? Wohoo, Perfect choice. not sure if it goes with breakfast, but it could be a great new recipe. Maybe I will try it. One of the perfect options as well. And I have made it while developing this recipe. It takes me sometimes few trials until I am fully satisfied with the recipe I am going to post. But this time, as I was recording it for the video, I have realized, some of the portions of the video, were completely blurry and I was not able to use it for a video instruction for you. So I had to do it the second time and that was right the day after I already made one full bottle. I was not ready to drink 2 full bottles of eggnog for the next few weeks, so I have decided to make it nonalcoholic and let my daughter try it. She has never had eggnog before and I was actually sure, she would not like it. With sweet recipes, she is sometimes very picky and likes all that I do not like and vice versa. And since I LOVE this homemade Keto eggnog, I somehow assumed she would not like it. But to my surprise, she really loved it and asked, if I can make for her as well every time I make Keto Eggnog. So there you go. Recipe not only for us adults but for our kids as well. All you have to do is follow the recipe and just skip the part of adding rum. What kind of Milk to use for Homemade Keto Eggnog? For Keto or Low Carb option, there are quite a few choices as well. The main one is almond milk and that is what I am using. Reason for it is, that almond milk does not have a very strong taste and the eggnog is more real tasting as if you add any other choices. 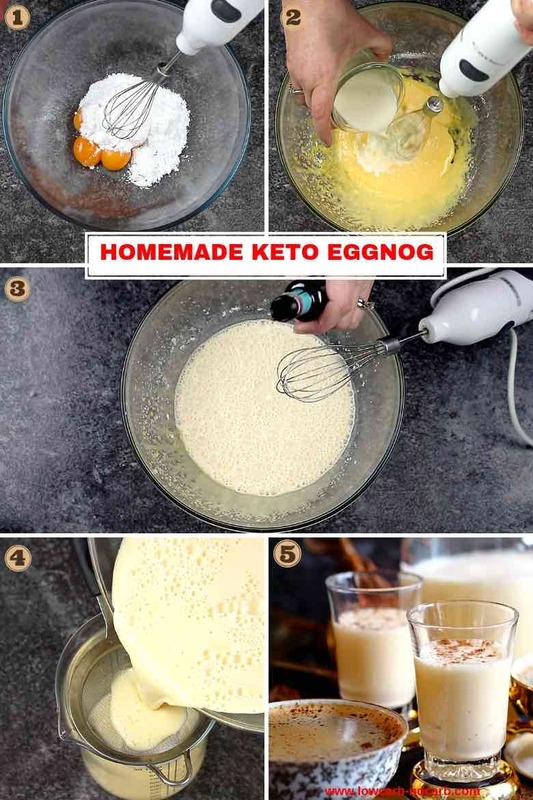 But if you do like coconut milk, to make Homemade Keto eggnog with it, is also a great option. Actually, any nut or seed milk will work. It only depends on your choice and taste preference. 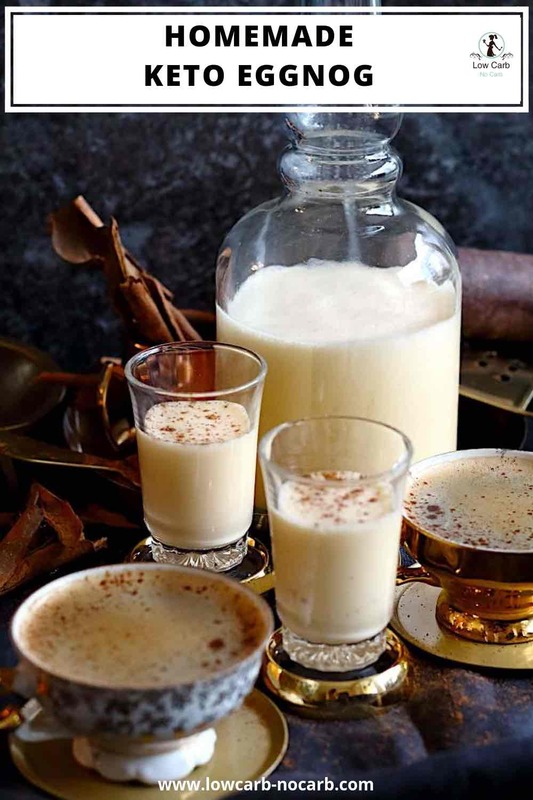 How long can you keep Keto Eggnog? It really depends on which choice you would go for. If you use our recipe fully together with alcohol, you can keep it in the fridge for quite a long time. A week or two is great. I have sometimes kept it even longer. But if you are going to use our version without alcohol, I would suggest making the only amount, you will consume in the next two to three days. In the end, since this is a not cooked process, to be on a safe side, try to use it immediately. 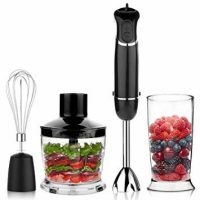 But if you do want to make a big bottle and have it throughout the whole festivity season, just run it through the cooking process for the eggs to cook and not having worry about some contamination. Now I think it is the time to come straight to the recipe, so you can all enjoy it. Mix egg yolks and sugar together with a hand-mixer into a creamy consistency. Run it through the strainer to make sure no lumps have been developed. If you would like to receive our regular updates with new recipes, do not hesitate to sign in with our Newsletter. Such an easy and fool-proof recipe! Thank you! Yeah, even I can not believe how easy and quick this is. No more eggnog bought in the shops. LOVE!! Finally i can enjoy eggnog again, slurp!! Easy and delicious – two of my favorite things. A great drink anytime of year. Yum, I love eggnog, but the sugar always gives me a headache! This is so much healthier and looks amazing. Mmmm! 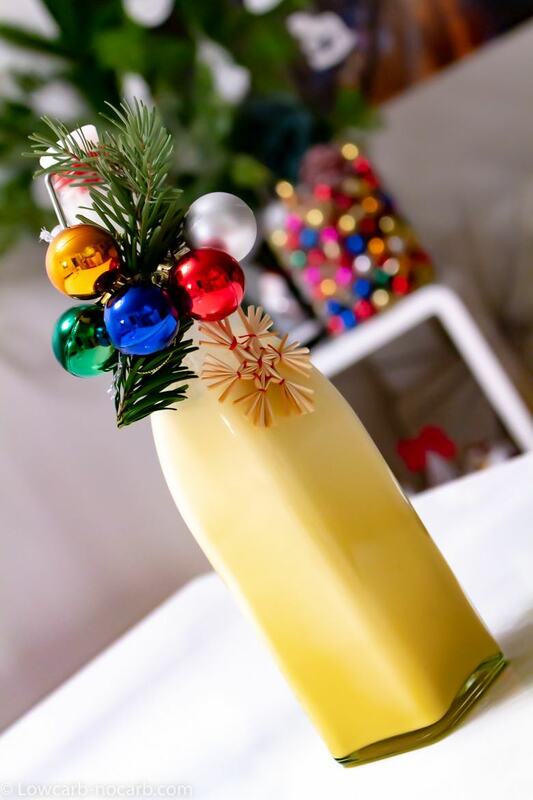 There’s never a wrong time of year for eggnog! One of my all-time favorite drinks! This was a lovely guilt free treat! So easy to make too, have pinned to save for later! I am so sure, you would enjoy making it. This is so creamy and delicious and a wonderful treat for any occasion! Thanks a lot for your kind words. It is really a great treat. Yes, you are so right. We love it big time, especially around Easter time. I’ve never mad homemade eggnog before and it will be so nice to have keto version that I can also drink with everyone at the holidays! You would not believe how easy it is. And yes, you are so right. We can have it anytime everyone else gets all of the sugary Eggnogs.